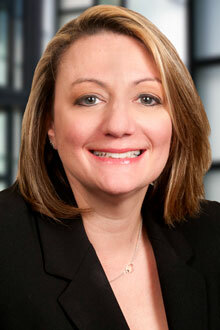 Angeline N. Ioannou is a co-managing partner in the Hartford office of Lewis Brisbois and a member of the Healthcare Practice. She has more than 15 years of litigation experience and focuses her practice on health care matters, with an extensive background defending professional malpractice claims on behalf of nursing homes, physicians, and nurses. Her background also includes defending complex tort and commercial liability claims involving wrongful death and catastrophic injuries. She has tried five cases to verdict and conducted more than 100 matters in binding arbitration. Angie frequently writes and lectures on long-term care issues. She is also an active member of multiple professional organizations, such as the Defense Research Institute (DRI), the American Bar Association and, most recently, the Connecticut Assisted Living Association. Angie was the Program Chair for DRI’s 2016 Nursing Home and Assisted Living Litigation Seminar. She has also been very active with the DRI Medical Liability and Health Law Committee and served a two-year stint as the Co-Chair of publications, where she was responsible for selecting authors and editing submissions published in DRI’s MedLaw Update and the dedicated health care issue of For the Defense. In addition to her health care practice, Angie has also represented insurance carriers, product manufacturers, and global retail and restaurant chains in a broad range of civil litigation involving contract disputes, general tort matters, indemnification issues, product liability claims, and wrongful death under Connecticut’s Dram Shop Act.